A look at how to add some Tetris flair to your Halloween party! Halloween is a holiday that’s fun for all ages. As a kid, you can’t wait to get dressed up and go trick-or-treating. For parents, watching the joy in your child’s eye is always a highlight. Meanwhile, if you’re in the age bracket where you don’t have kids and you’re too old to go trick-or-treating, throwing a Halloween party can be a fun alternative. But, what can you do that hasn’t been done before? How do you throw an engaging party and keep your guests entertained? Well, by adding a little Tetris flair! Costume contests are often one of the main events at Halloween parties. Not only do costume contests give you the chance to dress up, but you also have the chance to be recognized for your creative costume idea! If you’re struggling to come up with a costume this year, be sure to check out our latest guide on 4 unique Tetris costumes that are easy to make! We’re willing to bet that the effort of making your costume by hand will help you stand out among the crowd. Meanwhile, hosting a costume contest at your own party encourages your guests to go all-out. What kind of prizes will you award the winner(s)? Well, if your friends love Tetris, you could always offer a piece of Tetris merch (of their choosing) from the official Tetris Shop! Make your Halloween treats stand out by giving them a little Tetris flair! As with any fun Halloween party, there are bound to be treats aplenty. 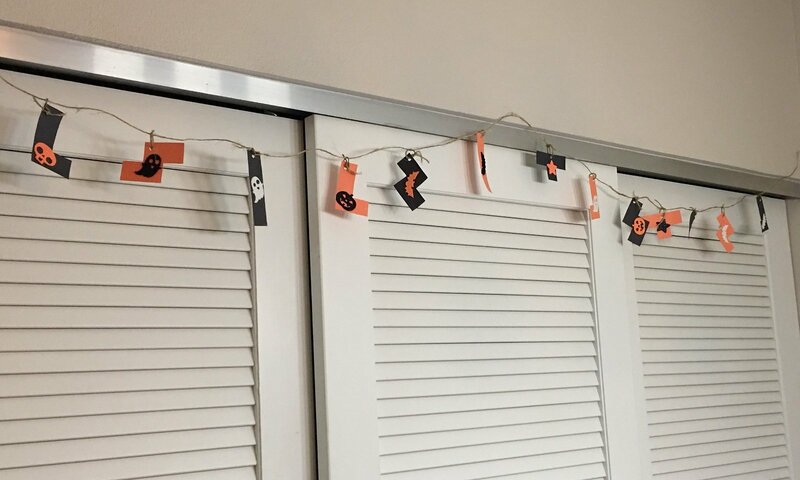 Believe it or not, when it comes to a Halloween party, not everything has to be Halloween themed. If you already have your home decorated to the max, deviating from the Halloween theme with some of your treat offerings is more than okay. Tired of the same pumpkin and ghost designs? Why not bake a batch of Tetrimino cookies? If cookies aren’t your thing, there are countless other ways to add Tetris to your treats. You can whip up a batch of Tetris Jello, or arrange candy in the shape of Tetriminos. 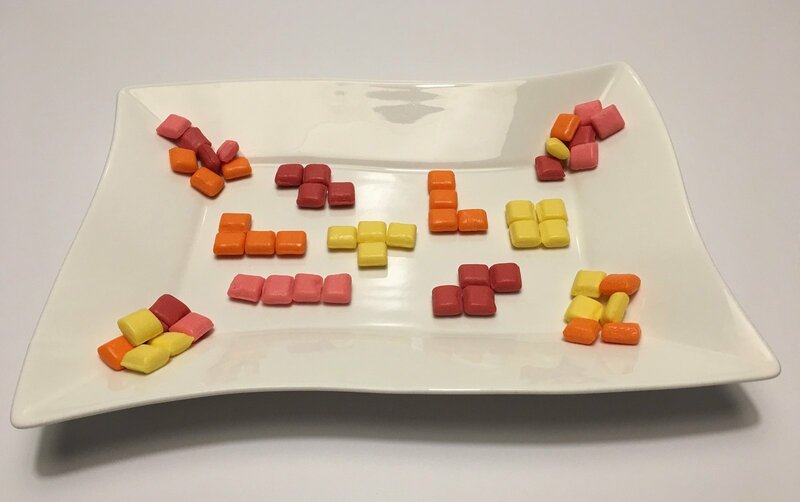 For example, open up a pack of Starburst and arrange them on a plate Tetris style! When it comes to keeping your guests entertained, why not host a Tetris tournament? One of the biggest questions people have when hosting a Halloween party is how to keep guests entertained. Do you put on a movie, do you play music, what should you do? One way to get guests to interact with one another is by holding contests and tournaments. We already mentioned a costume contest, but there are other ways to bring out your guest’s competitive side. Multiplayer Tetris is one of the best competitive games to play. This is because Tetris is easy to pick up and play, even if the person is new to the game! If you have a large TV in your home, why not set up a Puyo Puyo Tetris tournament? Similar to the costume contest idea, try to come up with some enticing prizes to award the winner. This will help encourage your guests to give each match their all. Furthermore, you could utilize just about any Tetris game and challenge your guests to beat the high score. At the end of the night, whoever sits at the top of the leaderboard wins. By taking this tournament route, you keep your guests engaged in the competition throughout the night. 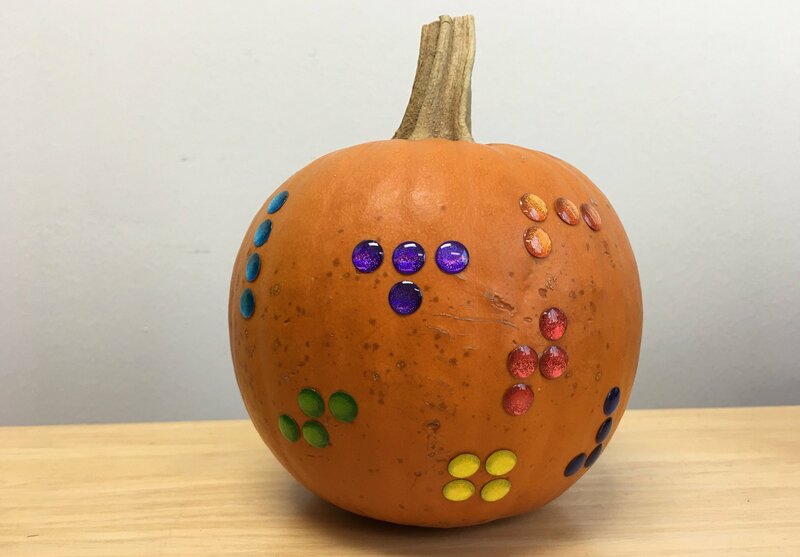 No matter what you decide to do, a Tetris tournament is the perfect way to add a little something extra to your Halloween party. If all this talk of Tetris tournaments and treats has you in the mood to practice your Tetris game, click here to hop into a round of Tetris on our website!